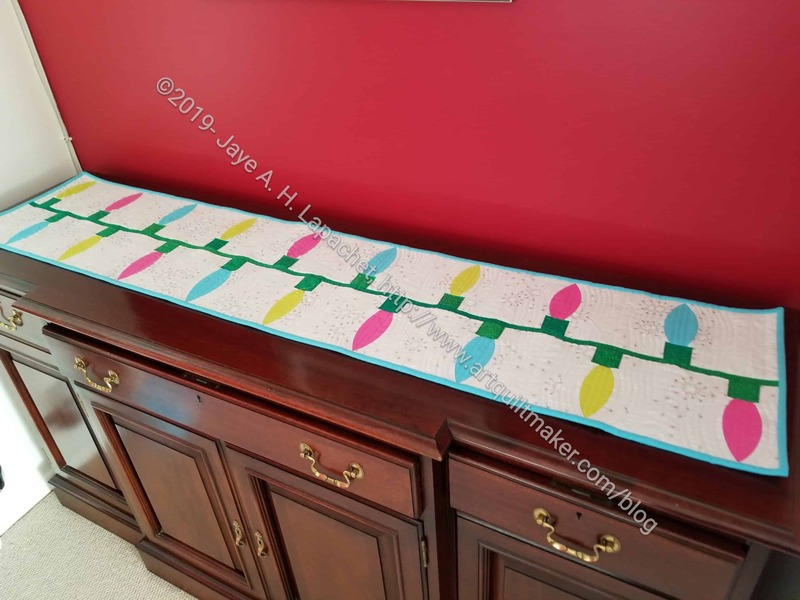 This tablerunner (buffet runner) is finished and I couldn’t be more pleased. The photo, left, shows where it will go in my house during Christmas. I am pleased because I had to adjust the pattern slightly and it worked! The runner fits perfectly on top of my buffet. 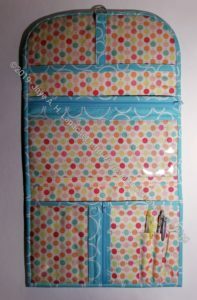 As mentioned, this is a quick curve mini-ruler pattern from Sew Kind of Wonderful called Mod Lights. The pattern has 3-4 patterns, so you wouldn’t just be getting this one. 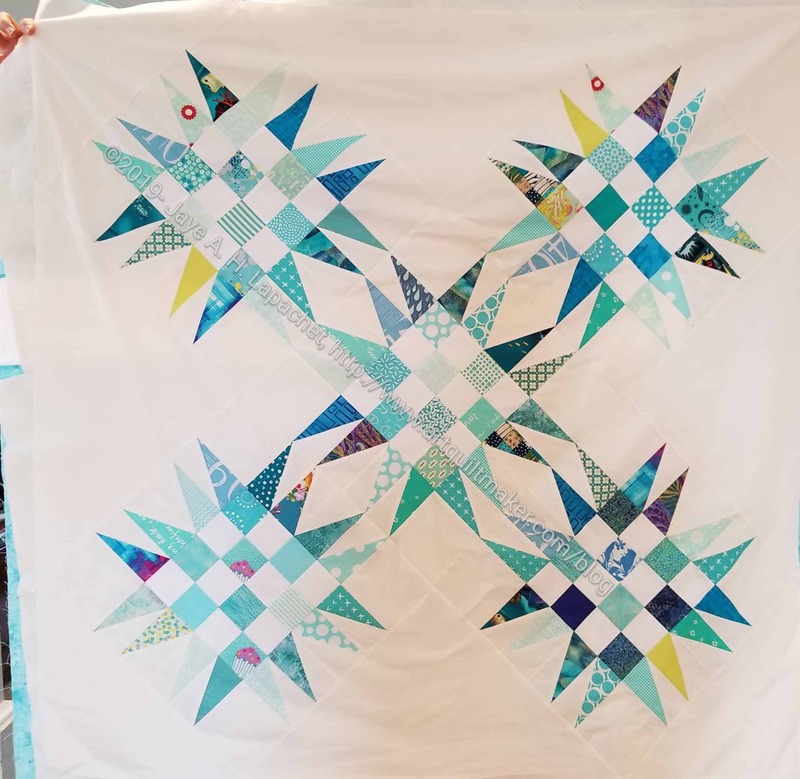 I used some Free Spirit solids bought at QuiltCon in 2018. They were lovely to work with-not much fraying and great colors. The green is a Pointillist Palette ombre I have had for awhile and the background is the same background I used for Metroscape. 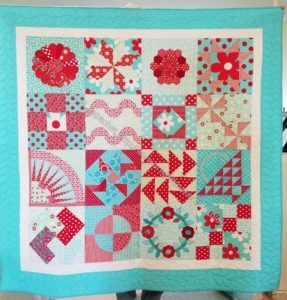 I also did the quilting myself. 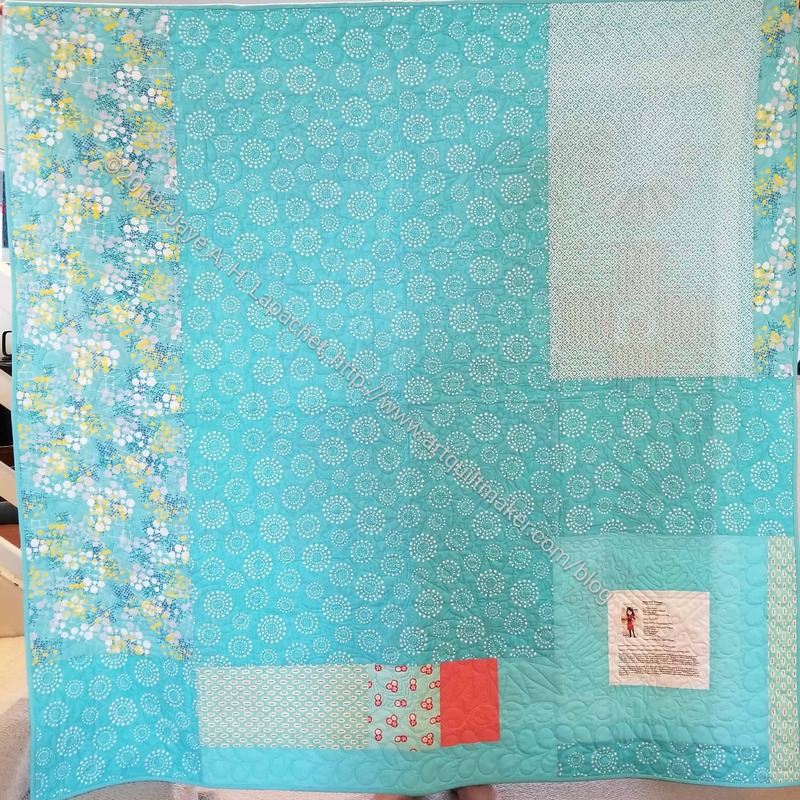 I don’t do much quilting, but I decided it was too small to take to Colleen and I could do it. Also, I wanted it done, so I spent a Saturday quilting it very slowly. My body is still complaining a bit from the exertion. 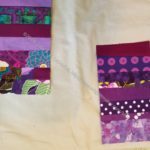 I had some tension issues, but learned a bit about my machine in working them out. I didn’t see the computer display change as I adjusted the tension, but I did see a difference in the stitching, so I guess it worked. 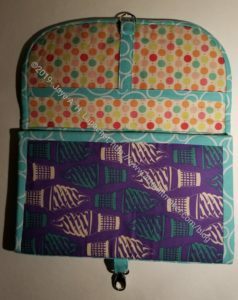 You know that I often like to make projects multiple times to get the hang of the process. The other day, avoiding FOTY 2017 and having some time at Craft Night, I started on the Mondo Bag. I bought the pattern at Golden State a few weeks ago when I was in San Jose. 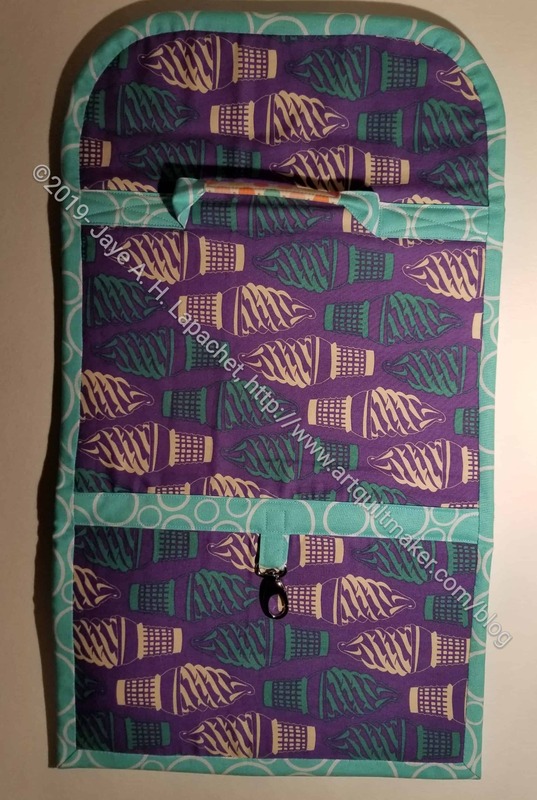 I have been wanting to make the larger size of this bag since I took the Scruffy Quilts Midi Bag class. I like the Midi bag and wanted to cement the process in my head. Recently I was thinking that my, as yet unstarted, new knitting project would fit better in a larger bag. Thus the perfect opportunity presented itself. The process is that you press 2.5 inch squares on to an interfacing pattern, then fold and sew until you have a panel. 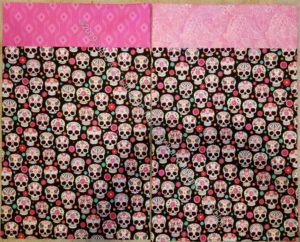 Since I was at Craft Night, I pinned the squares to the interfacing. I did this for convenience, but also so I could contemplate the design before I pressed everything down permanently. 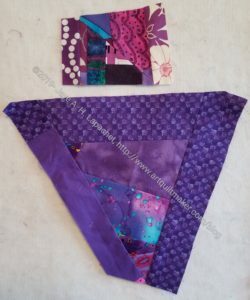 I am using Flow and Basic Mixology mini-charms. 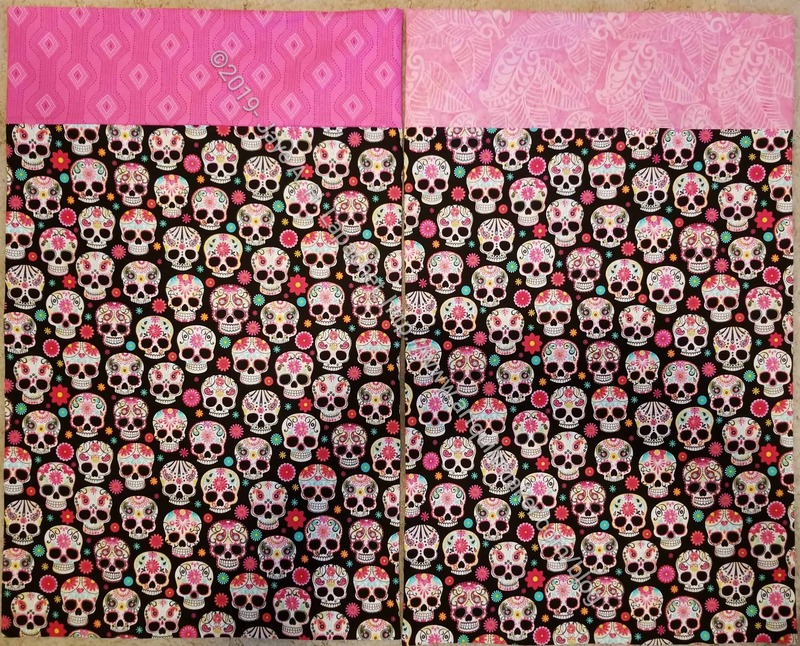 I had some packs from QuiltCon, I think, and they seem to go together well. Not perfectly, but well. So far, I am pleased with the results. The mini-charm packs have been hanging around for awhile. I was waiting for this project to come along so I could use them. Shortly after I finished the binding on Metroscape, I started and finished the binding on this sampler. I am pleased to have another finish! With this finish, I am crossing something off the list that has been on it for a long time. That feels great. I showed it at BAM last Saturday and I was gratified at the response. I don’t think this sampler looks fuddy-duddyish, but I wasn’t sure how that more modern audience would take it. They liked it and it makes me want to pull out the Handbag Sampler and get back to it. 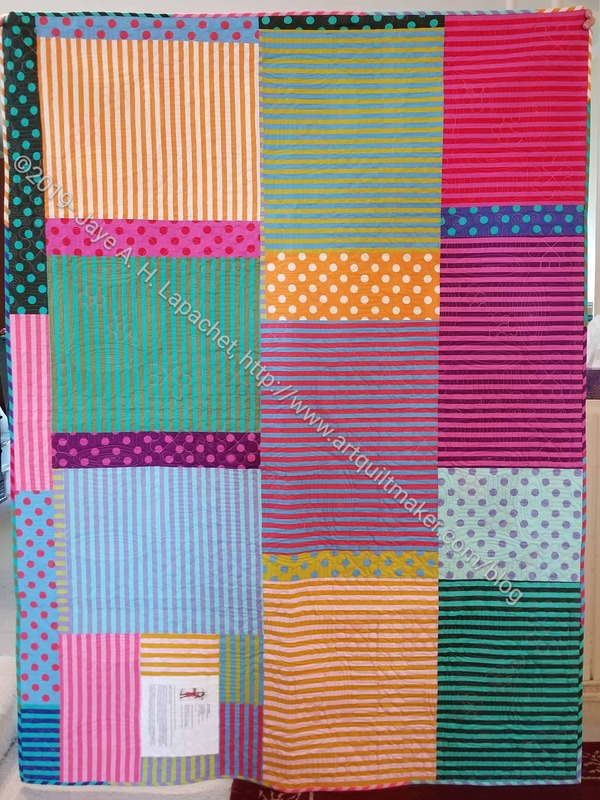 I do think I would like to make some smaller blocks to go in a new sampler I might start, like the Star Sampler. I finished all the blocks and began to think about the color of the plain blocks. Tim doesn’t like white backgrounds and since he will most likely quilt this top, I decided to look for something else. Across from purple on my Studio Color Wheel is chartreuse. I admit this is a bold choice and I was thinking about it quite a bit before I went hunting for fabric. Finally, I decided that I needed to make visual decisions visually and cut up some fabric. I like the boldness of the color combination, but something wasn’t quite right. I was just about to sew it together when Tim saw the photo and suggested grey. 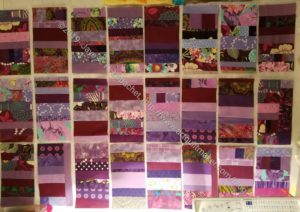 Purple is hard for me to work with, because it really darkens my workroom to a depressing state. Adding grey made me think it would just get worse. I knew the yellow-green was the right color for the purple, so I found a couple of greys and tried it. I chose the greys based on fabrics I didn’t think I would use for something else. These were both in that category because they have a taupe cast too them, which is not my preference for grey. I prefer the cooler white-greys. Immediately, I knew that the grey solid (#1) was a much better choice. It will be suitable for a boy and isn’t too depressing. 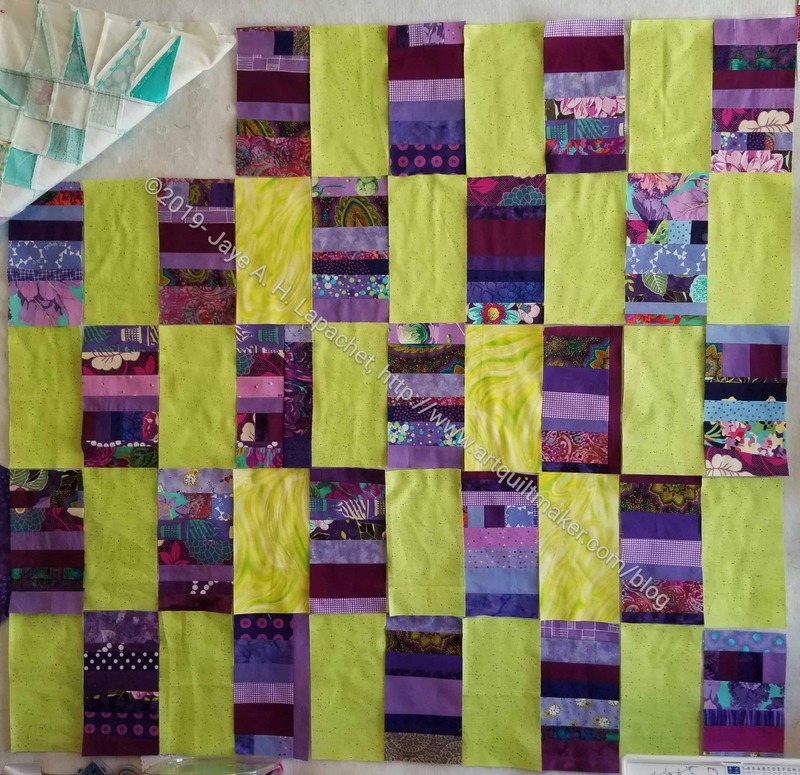 I have begun sewing the plain blocks to the strip blocks. I saved the green for another day. I rearranged all of the patches for FOTY 2017 and am feeling much better about the layout. I still have some design problems, but I feel like I am finally making good progress and am not feeling so much design despair. The white and light patches will fill in the top of the piece to make it square. 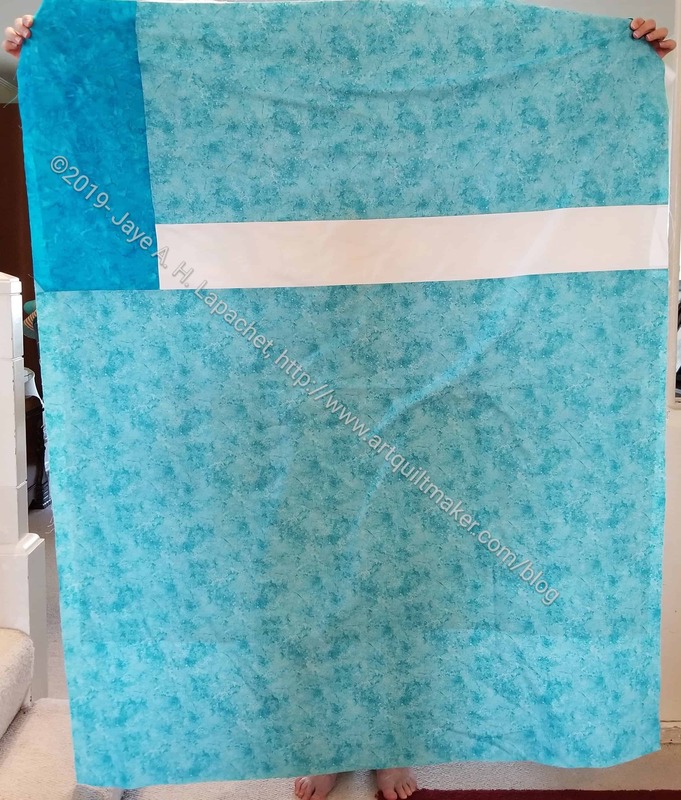 Yes, colors need to be rearranged a bit and I need to slip in a column of turquoise, but otherwise I think this is basically the layout I will use. It is much better than my previous idea. I know Angela loved the subway tile layout, but as a design concept, it wasn’t working. 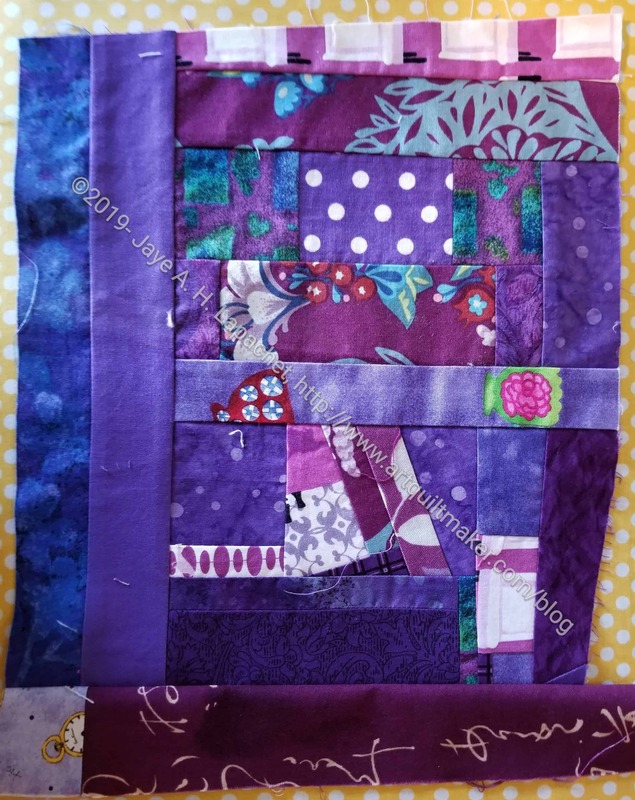 I may try that layout with smaller patches. 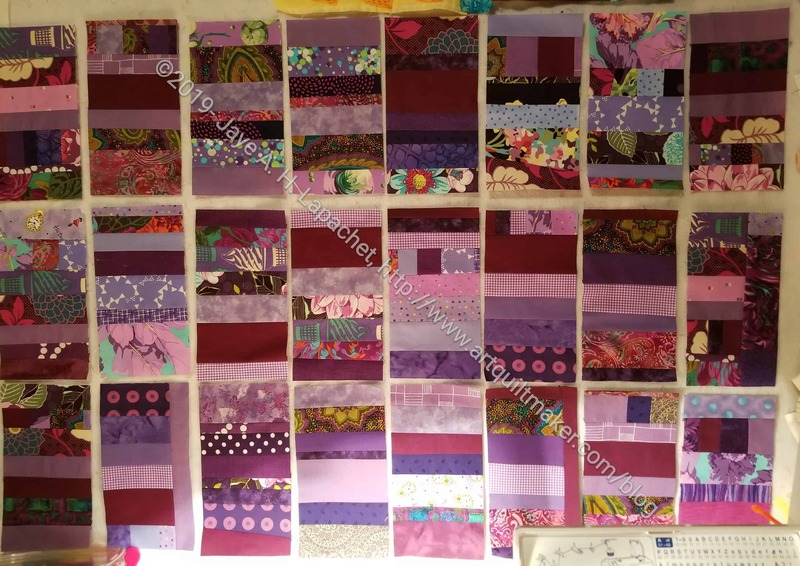 Again, my design wall cannot contain this series of quilts. I can’t tell you how frustrating this is. I have to figure out how to add 3 more columns to this piece without design wall support. I also made my friend some pillowcases in addition to the journal and tote. She enjoys Dia de los Muertos motifs. I hope these are not too ghoulish for her. As usual, I didn’t have enough of one pink to use for the cuffs so these cuffs are different. Perhaps my friend will enjoy one over the other? This might be the beginning of FOTY 2019. The pieces are the same size as FOTY 2018 as I have the Ellsworth Kelly idea and I might want to do one with black squares and one with slate squares. I could also combine the two and do a FOTY 2018/19. I am getting behind now that FOTY 2017 is not jelling. I could probably skip FOTY 2017 and get to FOTY 2018, but that seems wrong to me. Author JayeLPosted on Thursday, March 14, 2019 Sunday, March 10, 2019 Categories 2019Tags Color, Fabric, Fabric of the Year, Fabric of the Year 2019, FOTYLeave a comment on Next FOTY? 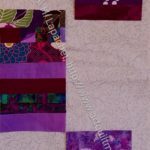 A friend sent me another article about the health benefits of quiltmaking. This is, what I would call, a readable scholarly article. I am not familiar with the publication, but I always enjoy reading about the health benefits of my passion. I didn’t know that Ruby McKim still had a website. 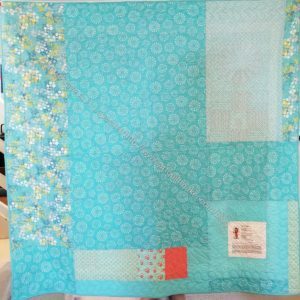 Sara over at Sew Sweetness is hosting a quilt fiction book club with projects. No idea on what the projects are or if there is a cost. F&W Media, the ‘enthusiast’ company has filed for chapter 11 and will sell their assets. F&W is the owner of such quiltmaking properties as Quilting Arts and Cloth Paper Scissors. 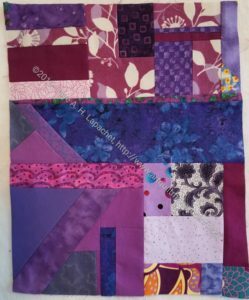 they also own book imprints such as Interweave (where they ruined their quilt history magazine), SewandSo, The Quilting Company (includes Fons & Porter), North Light Books, and Krause Publications, all publishers who produce quiltmaking books. You can find more business-type information on the Bloomberg page. Abby Glassenberg wrote a blog post about the sale of recent ceasation of publication of some of their magazines. In my opinion, the changes they made to the successful publications they purchased led to this situation. I hope someone better (Fortunoff??) will buy some of these former gems and restore them to their glory. 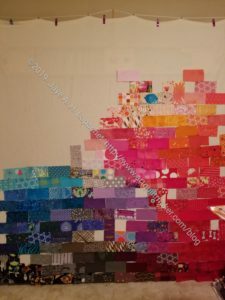 Valerie has a portion of the latest scrap quilt by Charlotte Hawke posted on her blog. I really like the Trip Around the World look and putting it on point makes it even better. The post includes a description of mystery quilts and some of those Charlotte has designed. 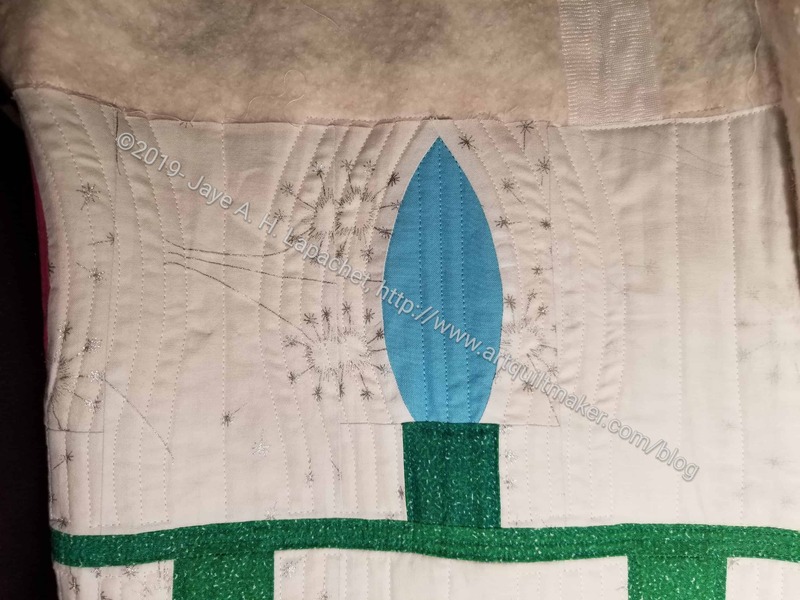 Ronni of Road Home Quilting posted a Peaky & Spike tutorial. No special rulers required. 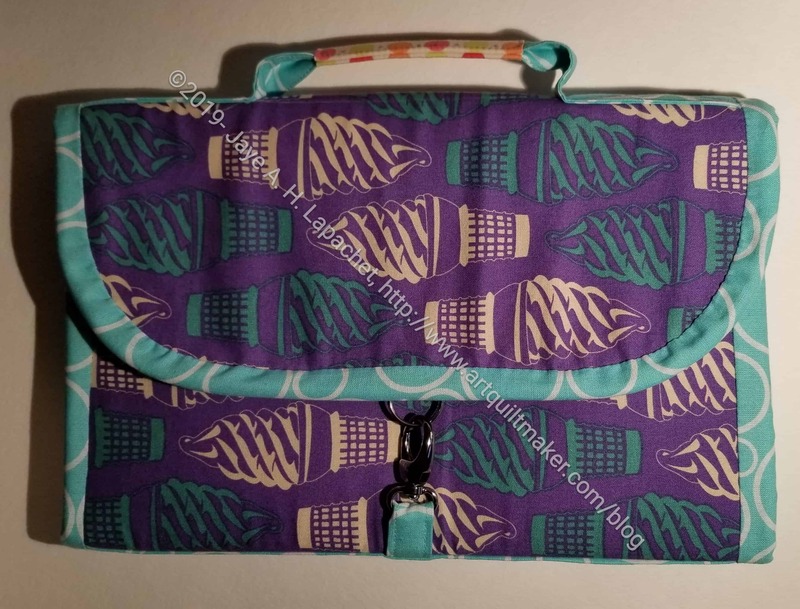 Knot and Design has a pattern for fabric and vinyl pouches that are interesting. Lieblingsdecke has a really great cushion cover pattern using paper foundation piecing. 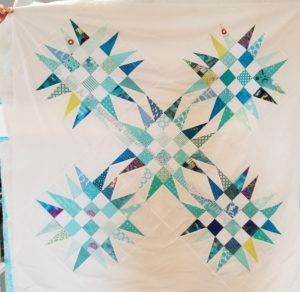 If you need help foundation piecing, check out my tutorial. 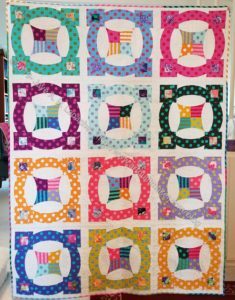 Patti told us about a quilted scissor holder tutorial from Miss Sews-it-all. I went and found the 2015 post and may make some of those for gifts. The Million Pillowcase challenge is still going strong. Their website has patterns and other information. 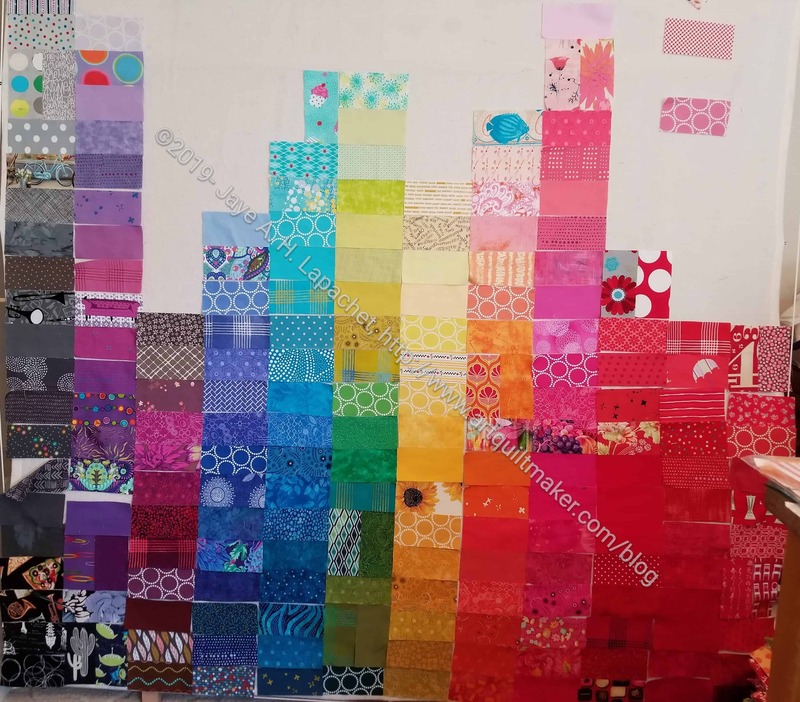 Theresa gave Sara of Sew Sweetness permission to share her document that gives information on the kind of yardage you need for Sew Sweetness patterns. This is a google Drive document and I have no control over it. 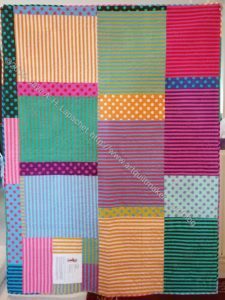 Someone pointed out a shop with lots of Kaffe Fassett (and Philip Jacobs!) 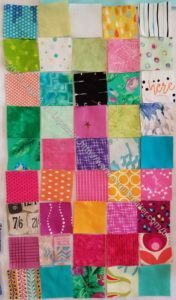 fabrics: Sew Colorful. 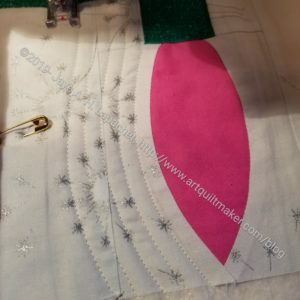 Two methods of seam ripping. I resorted the patches and have started to arrange FOTY 2017 on the design wall. It isn’t going well. Why? I don’t know. It just isn’t working. I did some math and am thinking I need to make the piece 18 rows by 18 columns to make it square, though that does not use all of the patches. 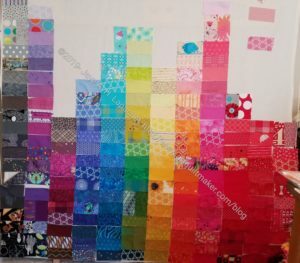 I could make it a little off square and make it 19 rows by 18 columns, but that would use more patches, which is my goal. I have another idea to try. It isn’t that long ago that I was sewing the blocks for this piece. Now the quilting is done and the binding is machine stitched. I am ready to hand sew the back of the binding and be finished. 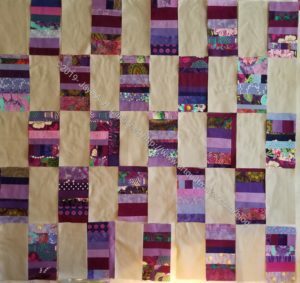 I spent all day Saturday quilting it. 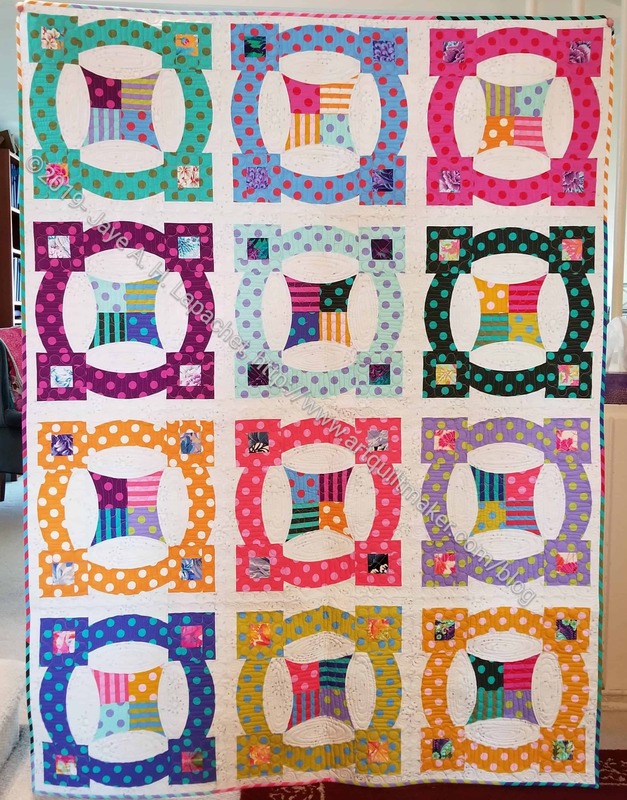 It took me all day, too, to carefully straight stitch the areas I wanted quilted. 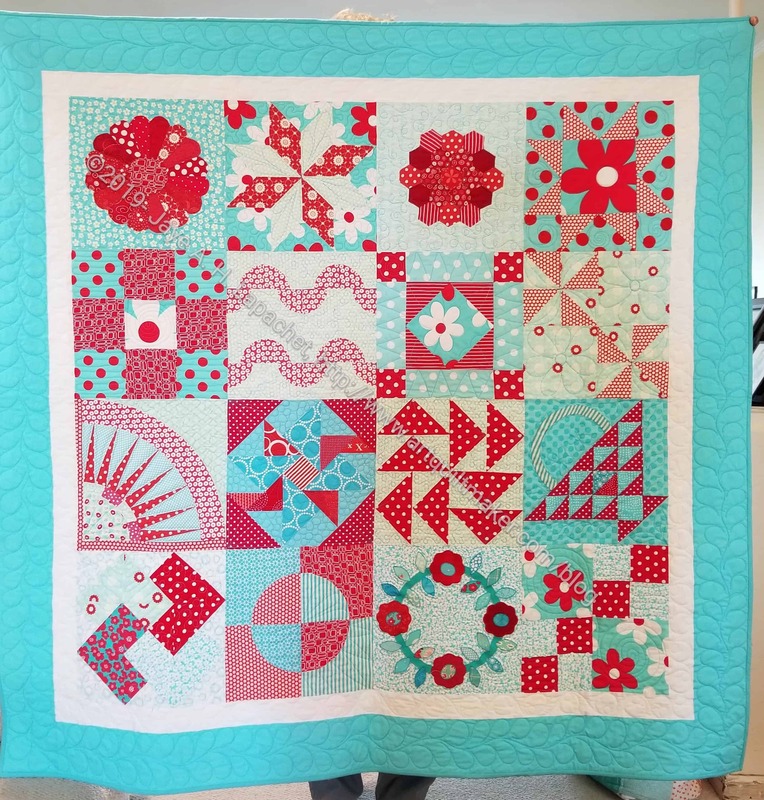 I really didn’t want to do it, but I also don’t want another UFO hanging around, so I bit the bullet and did the quilting. I am paying for my work as my arm and neck aren’t their usual selves. I tend to attach my left shoulder to my ear as I quilt. I tried really hard to keep it down so the pain is not as bad as it could be. I have Serendipity Lady to quilt, but that piece will have to wait for another day. The quilting isn’t perfect, but I am pretty pleased with the way it came out. There are a couple of sections I might redo, but I don’t need to worry about that now. What really helped me was listening to the Pearl Sister as I quilted. 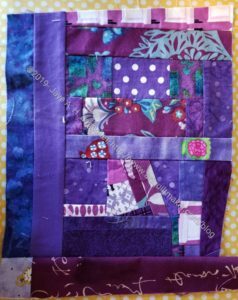 After a couple of enjoyable, but not well written books, this was a fantastic quilting book. It is the latest in the Seven Sisters series by Lucinda Riley and was really great. I am going back to read the first in the series, because it was so good and I want to be reminded of the details of the sisters. I just found out there is another installment in the series ready for me to read as well, The Moon Sister! Yay! 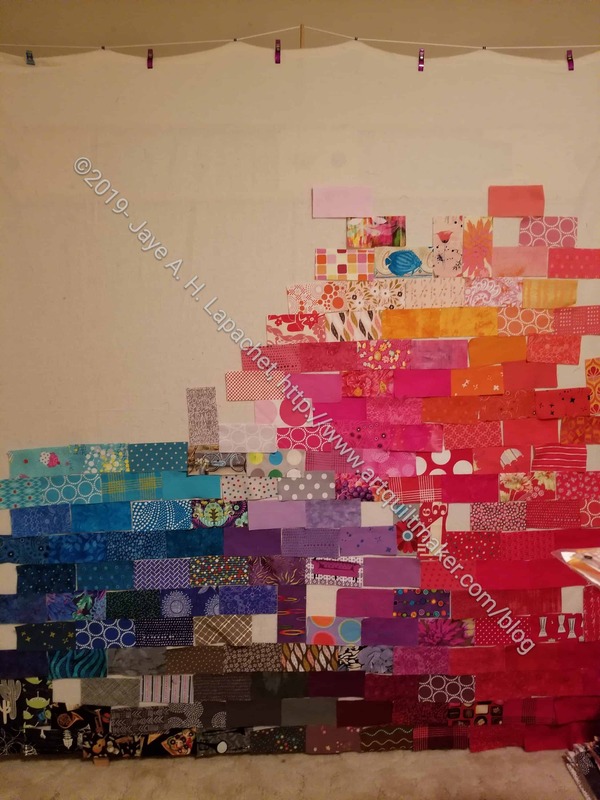 Perhaps it is time for another quilting project? Definitely read the series in order. I decided to make another Classmates tote for my friend’s birthday. I didn’t mail it until Monday, so I hope she has it by now and the surprise won’t be ruined. This one went a lot more smoothly than the first one. I learned different things this time, such as color placement. I am thinking I will make one to contain all of my random suitcase flotsam. I meant to see if it all would fit before I sent off the bag, but didn’t do it. I went through the pattern and marked the cutting chart up so I would know what I was cutting, which would help me with color/ fabric placement. My plan worked very well. One thing that sent me over the edge in liking this project is the number of pockets. 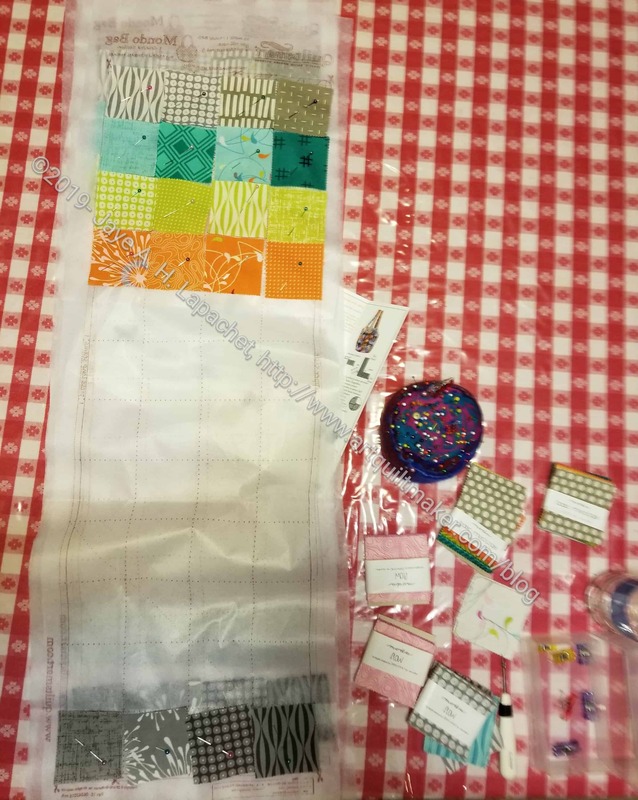 I knew as I was making it that I would get a lot of pockets, but I found, once I put the whole thing together, that there were even more pockets than I thought. 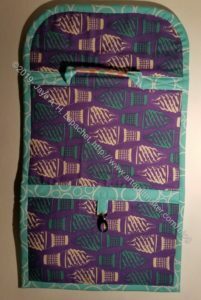 This turned out to be because when I put the pockets I had made separately on the lining, additional pockets were created. 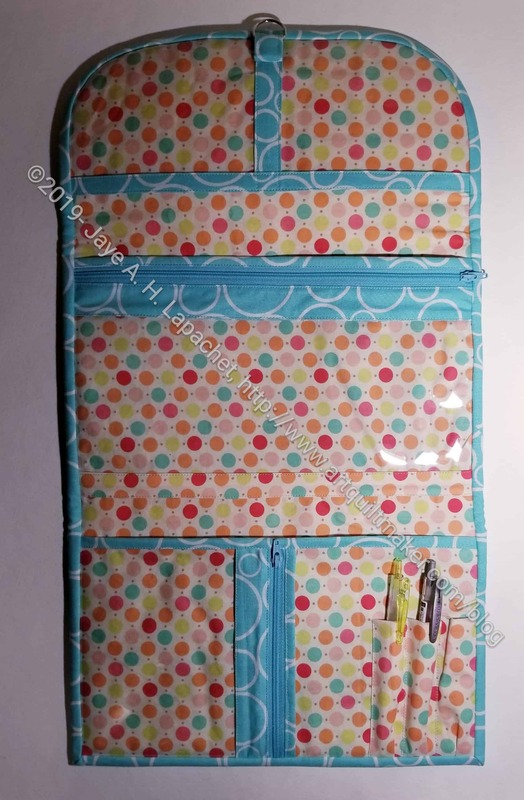 The bonus pocket behind the center zippered pocket could hold a 6×6 inch ruler! Or nearly. I am pretty thrilled with how this one came out. I worked really hard and did my best work. The one thing I would change is the binding. It looks great on the inside, but doesn’t go very well with the ice cream fabric. I am not sure what I would use. I might need to change the linking to go better with the outside. I wanted to make sure the piece was cheerful, which is why I chose the lining fabric. 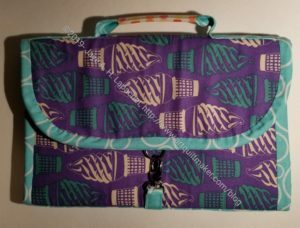 I also wanted to use the ice cream fabric so this bag would go with the sewing machine mat and other items I have made for her. 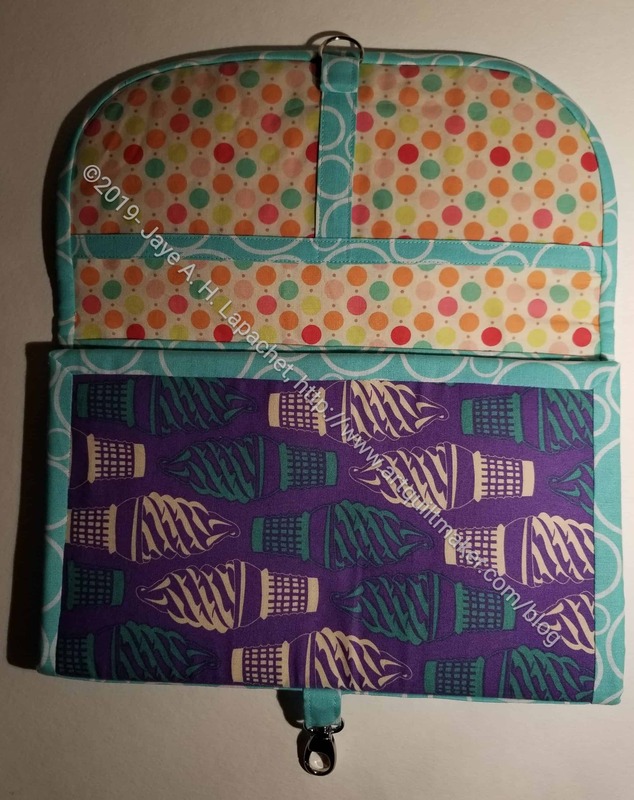 I thought it would be segregated enough to not matter, but I didn’t thinking about the binding and how that would united the outside with the lining. I think I would also change the handle a bit. I think it would be good to add a little padding to it. I am not sure my machine could make it through an additional layer of padding. I am pleased with how the lobster clip and ring line up. That was a concern on the first one and this effort came out perfectly.